OP has always been a truly unique financial services group. Our mission is to promote the sustainable prosperity, security and wellbeing of our owner-members, customers and operating regions. 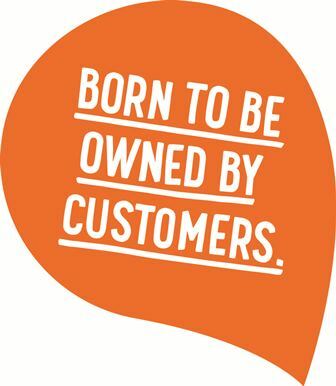 In 2014 we went right back to our roots by becoming fully owned by our customers. Go forward and view our key events in 2014. The Annual Review is also available as PDF here. "Within OP Financial Group, 2014 involved big decisions, new initiatives and many successes. Our transformation into a genuine financial group owned by its customers proceeded according to plan not only in terms of our values and but also from legal and operational perspectives. Our transforming corporate structure will more clearly support our mission. We exist to serve our customers. Respecting the customer lies at the core of our customer-focused approach." Society changes, and so must we. OP has always played an important role during key transformations in Finnish society. 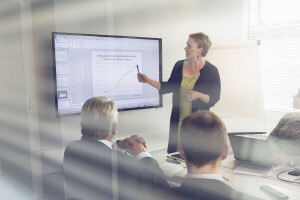 Nowadays OP Financial Group's strategy and business focuses are moulded by the global operating environment and faster and faster changes to it. Digitalisation of the financial sector in particular is having a major effect on what we do. OP's strategy is based on a long-term business development in the best interests of our customers. The cooperative system is the basis of our operations and the driving force of our strategy. We must work efficiently and competitively and be both profitable and have solid capital adequacy. We must produce the services our customers need at a competitive price. Our unique identity and operations that stress community spirit have always held special significance to us. We carry our responsibility through funding, insurance and partnership for the sustainable development of our operating environment. We invest in innovative and responsible product and service development. We have a people-first approach and make decisions locally. Our solutions are user-friendly, and we have the country's most extensive service network and as well as comprehensive electronic services. The Group wants to turn staff competence and continuous renewal throughout the career path into a success factor for itself, with the aim of responding to challenges in the changing operating environment and ensuring the required skills today and tomorrow. Strong interaction with our various stakeholders is part of our cooperative heritage and mission. The past year showed that our strategic choices were reflected in practice as we had hoped they would. We received praise during the year for many of our products and services, and our customer loyalty, measured in surveys, was the highest in Finland. OP announced early in the year that it planned to buy the shares of Pohjola Bank plc and to make its business operations a more integral part of OP Financial Group. Implementing the tender offer was one of the biggest structural arrangements in the financial sector in post-financial crisis Europe. Pohjola shares were delisted from Helsinki Stock Exchange it September. OP decided to open four new private hospitals in Finland, and at the same time expand its health and wellbeing services into new fields of specialisation and occupational health care. The Banker chose OP as Bank of the Year in Finland. World Finance magazine chose OP as both non-life insurer and life insurer of the year in Finland. OP was chosen in a survey by TNS Gallup as the best player in Finland in terms of reputation and responsibility. OP-mobile bank received the highest grade in MB magazine's survey. OP's Pivo mobile wallet won first prize in the Digital Design category of the Best of the Year Competition. OP's Taloudessa.fi was chosen as Finland's best company blog. Prospera's survey found OP's equity capital market advisory services the second-best in Finland. The fund selection team in OP's Wealth Management was found to be the second-best in Finland in a comparison made by Nordic Fund Selection Journal. Profit shares provide customer-owners with a way of investing in their own cooperative bank. Cooperative banks pay an annual dividend on profit shares based on the bank's performance, thereby channelling a fair amount of the success to their customer-owners. Profit shares turned out to be extremely popular. The Group's capital adequacy remained strong both in the European Central Bank's comprehensive assessment, which looked at European banks' assets using uniform valuation principles, and in a stress test carried out by European bank supervisors, which measures capital adequacy developments in a variety of stress scenarios. Customer index is Finland's most extensive survey on Finnish companies' customer experience and loyalty. According to the survey, OP has the most loyal customers. The survey was carried out by ASML, an association dealing with customer marketing, and Avaus Marketing Innovations. This page is a summary of 2014 at OP Financial Group. To learn more about any subject, click on the links below. Contains information about OP Financial Group's strategy, business operations and the key points about social responsibility. Contains information about GRI indicators, reporting principles and the GRI content index. To read about the Governance as well as the Report by the Executive Board and the Financial Statements of OP Financial Group, we advise you to use a devise with a larger screen size.